Jane stayed at the premises for almost two years over 1814 and 1815 (it was her last known visit to London). Austen, who stayed in a bedchamber at the front of the house on the top floor (a plaque commemorating Jane’s occupancy is located on the building), described the home as “delightful” and expressed her love of the garden. The house has been considerably altered since although the original property still is said to lie underneath the brick skin now upon it. It was while Jane was staying there that she was invited by the Prince Regent (later King George IV) – a fan of her writing – to Carlton House on 13th November, 1815, where she was permitted to dedicate one of her future works to him (Emma was duly dedicated the following year). Henry, meanwhile, lived here until 1816 – the complete collapse of the bank in which he was partner had come in March of that year after which Henry was declared bankrupt. 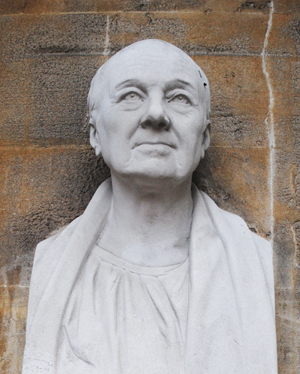 Following the financial disaster, he took up a post as curate at Chawton in Hampshire where the family were based. While we’re in the area, we should also mention another property around the corner – 64 Sloane Street. It was here that Henry lived before moving to Covent Garden and here that, in April and May 1813, Jane stayed with Henry as his wife Eliza was dying (she passed away on 25th April). 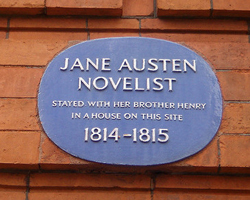 Henry and Eliza had moved into the the Sloane Street property in 1809 (from Brompton) and Jane had visited several times (among the books she worked on while there was Sense and Sensibility). Both properties were part of the Hans Town development which dated from the late 1770s. The ‘blanketeers’ were a group of weavers, mainly from Lancashire, who in March, 1817, controversially intended to march from Manchester to London to petition the Prince Regent (later King George IV). They were also protesting against the recent suspension of the Habeas Corpus Act (this was done in the wake of the Spa Fields Riots in late 1816 and an attack on the Prince Regent’s coach a couple of months earlier). About 5,000 weavers gathered at St Peter’s Field in Manchester – each carrying a blanket on their back, both for sleeping under during the journey (they apparently hoped people would provide shelter along the way) and to identify their association with the textile industry (hence the name ‘blanketeers’). Thousands more spectators came to see off the men who intended to march in small groups of 10 to avoid accusations of an illegal mass gathering (meetings of more than 50 had been banned). Each group leader would carry a petition tied around his arm. They didn’t get far. The Riot Act was read and troops sent in – the King’s Dragoon Guards – who initially arrested more than a score of people including key reform movement leaders Samuel Drummond and John Bagguley. 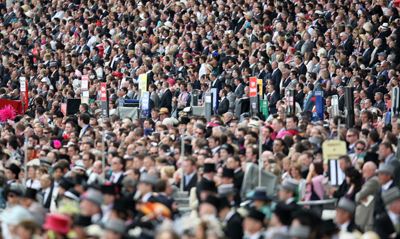 Several hundred men did manage to set off but the cavalry set off in pursuit. Some were taken into custody by police, and most were turned back including some 300 who reached Stockport. But there is a story, albeit apparently rather a dubious one, that one marcher – some report his name as ‘Abel Couldwell’ – did reach London and handed in his petition. On Sunday, Princess Charlotte, daughter of Prince William and Princess Kate, was christened at Sandringham. So we thought we’d take a quick look at another christening that took place in London almost 200 years ago, that of Princess Victoria. The future Queen Victoria was born on 24th May, 1819 – the daughter of Edward, Duke of Kent (fourth son of King George III), and his wife, Princess Victoria Mary Louisa of Saxe-Coburg-Saalfeld. At the insistence of the Prince Regent (later King George IV), the christening was a small affair and was held a month after the birth on the afternoon of 24th June in the magnificent Cupola or Cube Room of Kensington Palace (pictured as it is now, above). 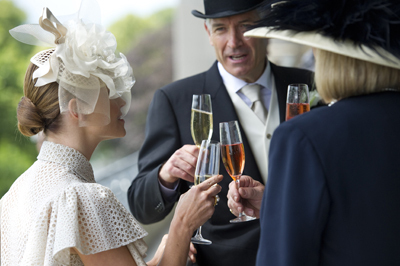 The guest list was small and included the Prince Regent, Prince Frederick, the Duke of York, and his wife Princess Frederica, Princess Augusta Sophia, Princess Mary, the Duchess of Gloucester, and her husband, Prince William, and Prince Leopold, who had recently become a widower after the death of Princess Charlotte. The ceremony was conducted by Charles Manners-Sutton, the archbishop of Canterbury, and, thanks to the intransigence of the Prince Regent, her name was apparently only decided at the last minute. The Prince Regent has earlier forbidden the use of such ‘royal’ names including Charlotte, Elizabeth, Georgina or Augusta and when asked by the archbishop what she would be named, he replied brusquely that she would be named Alexandrina in honour of the Russian Tsar Alexander, one of the new princess’s godparents. Her second name was Victoria in honour of her mother, and while Victoria was often called “Drina” while a girl, she herself apparently preferred her second name to her first. The gold font used in the ceremony formed part of the Crown Jewels and its origins go back to the time of King Charles II. Interestingly, there were a couple of significant Victorian connections during Princess Charlotte’s christening – the font used at this christening was known as the Lily Font (like its predecessor, it is usually found with the Crown Jewels in the Tower of London). It was commissioned by Queen Victoria and Prince Albert for the christening of their first daughter, Princess Victoria, in 1841, apparently due to Queen Victoria’s dislike for the gold font used at her own christening – it had been used by King Charles II to christen his illegitimate children. The Lily Font has apparently been used at every royal christening since except that of Princess Eugenie who had a public baptism in Sandringham in 1990. Princess Charlotte also wore a replica of the christening gown worn by Princess Victoria. WHERE: The Broad Walk, Kensington Gardens, Kensington (nearest Tube stations are High Street Kensington or Queensway); WHEN: Daily 10am to 6pm (until 31st October); COST: £17.50 adult/£14.10 concession/children under 16 free (online booking discounts available, Historic Royal Palaces members free); WEBSITE: www.hrp.org.uk/KensingtonPalace. 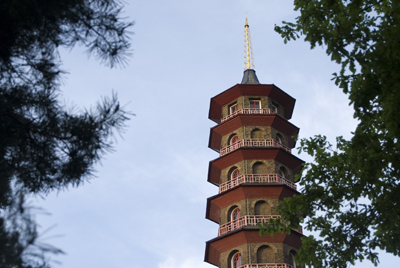 News this week that Historic Royal Palaces and the Royal Botanic Gardens are embarking on a two year project to restore eighty decorative dragons to the Kew Pagoda has led us to take a look at the history of the exotic tower set amid the trees. 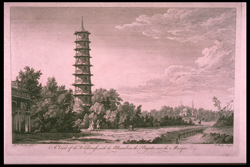 Designed by architect Sir William Chambers (one of his drawings is depicted here), the pagoda was built in 1762 during the eighteenth century craze for Chinoiserie and was probably commissioned by Princess Augusta as part of the ongoing works she undertook in the gardens after the death of her husband Prince Frederick, eldest son of King George II and Queen Caroline. Standing 163 feet (or almost 50 metres) high, the 10 storey pagoda was originally decorated with eighty golden dragons. It was designed to be the high point of a world tour through the gardens which also took in Roman ruins and Arabic mosques. While the pagoda remains, the dragons were only on the structure for some 22 years before being removed in 1784 during roof repairs. Thanks to rumours they were made of solid gold, it was suggested they were sold off to pay the debts of the Prince Regent (the future King George IV), but experts say the wooden figures had simply rotted and so had to be removed. Following their removal, the dragons subsequently disappeared and despite several attempts to find them – including one by Decimus Burton, architect of the famous Palm House (for more on that, see our earlier post), in 1843 – they have never been found. Historic Royal Palaces and the Royal Botanic Gardens have now decided to replace them with new ones, drawing on contemporary accounts and drawings and using a team of specialist craftsmen to create them. The restored pagoda – complete with new dragons – will be open to the public in 2017. It is one of several ornamental buildings still located in the gardens. Others include a Japanese gateway and a Japanese wooden house called a minka. WHERE: The Great Pagoda, Kew Gardens (nearest Tube station is Kew Gardens); WHEN: 10am daily (closing times vary – see websites for details); COST: £16.50 adults/£13 concessions/children £3.50 (discounts apply for online bookings); WEBSITE: www.kew.org. 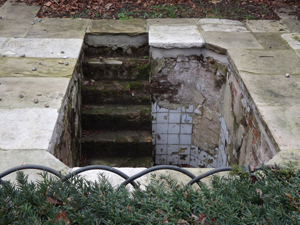 A white tiled plunge bath which once belonged to Princess Caroline of Brunswick, the estranged wife of George, Prince of Wales (later King George IV), still lies in the south-west corner of Greenwich Park between the Rose Garden and Chesterfield Gate. Princess Caroline, a cousin of the prince, married him in 1795 in an arrangement made so he could get out of debt. Theirs was never a marriage of love – the prince is said to have spread rumours that she was adulterous, had bad breath and never washed – and after Princess Caroline gave birth to a daughter, Princess Charlotte, the couple separated. Two years later, in 1798, Princess Caroline was banished to live at Montague House near Greenwich Park while the prince dallied with his mistress Maria Fitzherbert. The princess, known for her scandalous and indiscreet behaviour during her residence at the house, used the sunken bath, which the stood inside a bathhouse partly attached to the main building. The house was demolished in 1815 on the orders of the king (a decision apparently prompted by a fit of pique at the Queen’s lifestyle), a year after Princess Caroline left England for the Continent plagued by rumours that she’d mothered an illegitimate child (a secret commission into her behaviour cleared her of a charge of adultery but did find her behaviour to be improper). The sunken bath, meanwhile, was filled in during the 1980s and served as a flowerbed until, in 2001, it was re-excavated by Royal Parks in a dig funded by the Friends of Greenwich Park, Greenwich Society, the Friends of Ranger’s House and donations from individuals. 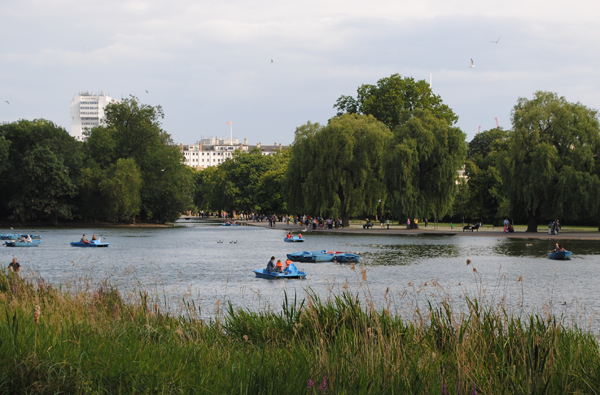 A former hunting chase, The Regent’s Park in London’s north-west was extensively developed in the 19th century and remains a good – if not complete – example of a Regency landscape. As with many of London’s Royal Parks, Regent’s Park (it’s formal name is actually The Regent’s Park but we’ll shorten it for our purposes here) once served as King Henry VIII’s hunting grounds – he seized the park, then known as Marylebone Park Fields after the nearby village and boasting thick woods as well as more open forests, from the Abbey of Barking in 1538. Used by royalty for the next 50 years, it remained largely unaltered until after the Civil War when, between 1649 and 1660, the Commonwealth ordered many of the trees to be chopped down to pay debts. It was restored to royal ownership with the restoration of the monarchy but, with hunting falling out of fashion, was then leased out to tenant farmers. It was John Nash who created the park that we know and love today. Friend of the Prince Regent (later King George IV), he was among a number of architects who responded to the Prince Regent’s calls for the creation of a new design featuring a palace for himself. Nash’s original designs included a round park featuring a lake and canal and surrounded by as many as 56 villas and a palatial summer home for the Prince Regent which would be linked to his other home at St James’s by a processional road. But only eight of the villas were ever built and only two of them – St John’s Lodge and The Holme – remain (both are private residences but part of the lodge’s gardens are open to the public) while the plans for the Prince Regent’s palace were put on hold when he turned his attention to developing Buckingham Palace instead. 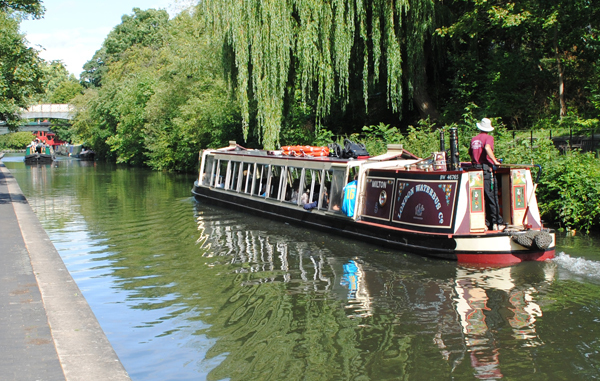 The canal, meanwhile, was moved to the park’s northern boundary where it still stands today (see our earlier entry on Regent’s Canal) while the processional route Nash had proposed became Regent Street. 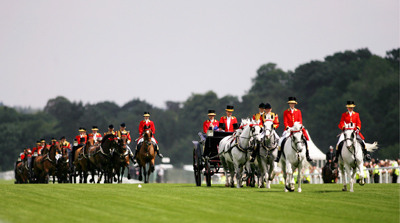 While the park was initially only for the exclusive use of residents and what Royal Park’s call the ‘carriage set’, in 1835, the eastern part of the park was opened to the public for two days a week. Other sections of what is now included in the park, including Primrose Hill, were opened later. Meanwhile, the fact most of the villas had never been built had left a large amount of free space and so both the Zoological Society and the Royal Botanic Society moved in – the latter laying out what is the Inner Circle with lawns and a lake of its own. Another society to operate in the park was the Royal Toxophilite Society which introduced archery there. Not much has changed since but for the creation of Queen Mary’s Gardens in the 1930s – these were laid out on the space formally occupied by the Royal Botanic Society which had decided not to renew its lease. The Open Air Theatre performances, which are still held in the gardens today, started at about the same time. The park was damaged by bombing during World War II but has been fully restored. Other facilities now in the 166 hectare (410 acre) park include a sports facility known as The Hub as well as several cafes, tennis courts and boat hire. The London Zoo, of course, also remains there.